Sometimes the supposed wickedness of one’s opponents can make you lazy. The left have spent the best part of the last 30-odd years blaming the late Margaret Thatcher for their own terminal decline and UK society’s ills to boot. And they’re now keen as custard, if you’ll excuse the culinary reference, on vilifying the views of her associates on the foodbank issue whatever the merits (admittedly scant) of what they have to say. While it may be hard to stomach ex Tory ministers Edwina Currie and Norman Tebbit, spouting ill-considered bile about the inadequacies of the poor – notwithstanding the recent contrite comments of the latter following an encounter with the apparently food-poor; I find it harder still to swallow today’s left-liberal refusal to countenance any alternative view on the subject than their own. Those who have questioned the government’s critics’ unofficial-official account – accepting, as most do, that the DWP version of events doesn’t stand up to scrutiny – have also met with no little hostility. It is not enough to accept, or even regret, that some people are hard-up and desperate. You have to sign-up without question to the completely counter-factual notion that a million or more people are actually going hungry. Or else be banished from polite company. Robin Aitken, co-founder of the Oxford Food Bank, for instance, is one of the few people involved in the industry (for want of a less cynical term) to question the dominant narrative that there has been an increase in ‘food poverty’. I find this intolerance of any counter-argument or criticism on the grounds that it is itself tantamount to cruelty, about as shocking as the poor-pitying no doubt find the imagined plight of the allegedly hungry masses. And about as anger-inducing as the notion that a compassion-light, cutting-obsessed, Tory-dominated government is inflicting unprecedented deprivations on the ‘vulnerable’ and needy. But it is only a notion, and a shaky one at that. According to figures provided by the Trussell Trust – a network running more than a third of the country’s foodbanks and, according to Nick Cohen, ‘the Anglican conscience at its active best’ – the increase in take-up of food parcels preceded the coming to power of the apparently ever-so-austere coalition government. (A government, it should be noted, with which the Trust has been in a very public spat of recent.) So there were 2,814 people in 2005/6 – under a Blair government – receiving the at least 3 days worth of non-perishable food that their food voucher entitled them to. This shot up to 9,174 the following year; and again, under the ill-fated Brown government to 13,849, 25,899 and then 40,898 in each of the years that followed. In other words, there was a very significant upward trend in foodbank demand under the preceding Labour governments. In 2010/11 under Cameron’s Lib-Con administration there was even a relative slow down in the rise to 61,468 referrals. It was after this that the trend of high proportionate increases under Labour gave way to high absolute increases, with 128,697 referrals in 2011/12 and 346,992 recorded in 2012/13, under the coalition. The reasons for the increase are various: including things like unemployment, domestic violence, sickness and delayed wages. Over the winter period, the Trust even began issuing ‘kettle boxes’ for the extremely desperate few who, because they had been made homeless or were just plain broke, couldn’t afford to use a cooker; and ‘cold boxes’ for those who didn’t even have the means to heat water. But, in the latter period at least, there is good reason to point to welfare changes as having the single most sizeable bearing on the rise in foodbanks and the take-up of food parcels. According to the Trust (ever-reliable in recording its foodbank activity), in 2013/14 benefit delays accounted for the highest number of referrals at 31% of the total 913,138. Another 20% were a consequence of ‘low income’, 17% down to benefit changes; and 8% a consequence of debt problems. In other words, at least half of the referrals – whether or not you include things like the refusal of short term benefit allowances or crisis loans – were in one way or another related to recent changes in the benefits system, both to its reform and its (mal)administration. That this has been happening is not in question. In fact it would be silly, as the government has indeed been doing, to deny it. But the extent and nature of the ‘hunger’ problem is in question. It would be remarkable if somebody somewhere didn’t find the claim that ‘Britain isn’t eating’ a little far-fetched. Indeed, it is only in questioning the orthodox view which, in my view, tends to exaggerate the problem that we might arrive at a sensible explanation about what is causing it. We only, after all, have half an answer. Foodbanks have been back in the news over the past week, most notably with two rather vicious attacks on the people who use them. First came the Mail on Sunday with its investigative journalistic piece on how apparently easy it is to get your hands on a food parcel if you’re devious enough. The second, though not especially new (welfare minister Lord Freud had made the same point some months back), came from former minister Edwina Currie. She argued that people are using foodbanks (much like some climb mountains) because they are there, and in growing numbers. The undercover piece may have been pretty mean-spirited – arguably it isn’t easy enough to get a food parcel because in most cases the gatekeepers at the Council, jobcentre, etc decide who does and doesn’t qualify – but it was the first real evidenced challenge (putting to one side the anti-poor prejudices of Tory commentators) to those such as the Trussell Trust making wild claims about a million or more people going hungry. I see no reason to challenge the view of the government’s critics that it is welfare reforms in the form of a greater use of sanctions, the bedroom tax, the benefit cap, and fitness to work tests; alongside delays in payments, the abolition of the social fund in favour of less generous local authority-run emergency assistance schemes, and in all likelihood a deliberate attempt to shift the welfare burden onto the charity sector; that is responsible for the sudden and steep rise in food banks and food parcels. But is there something else going on too? You’d think ‘Egwina’ would steer clear of food-related controversies given her infamous run-in with the salmonella crisis that ended her political career. But in a way, I’m glad she did. For all their faults, there is a certain logic to the argument put forward by Currie, Freud and others that can’t be so easily dismissed. There used to be a stigma about accepting charity – nobody wanted to be a ‘charity case’ – but given the riots of 2012 and what that said about the breakdown of some communities, and of the kinds of traditional working class values of which such an attitude was once a definitive part, would it be surprising if there were a greater readiness to accept charity today? As Currie herself argued, growing up in a working class family in Liverpool her mother always made sure to ‘put food on the table’ whatever the hardships she and the family otherwise endured. Similarly, as one rather controversial Labour-supporting social landlord has reminisced, his mother (unlike his tenants) would always be sure to pay her rent on time. The instilling of these sorts of values may not have gone completely out of fashion, but – as I argued on BBC Radio 5 Live’s Stephen Nolan programme the night after he interviewed Currie (from 1:24:40) – to the extent that this is the case, maybe she has a point. Maybe, just maybe there is a greater readiness on the part of an increasing minority of people to accept, or even seek out, charity in the form of food parcels; rather than, as previous generations would have, fall back on their own resources or seek help from family and community? Of course, it is hardly surprising that some people are struggling to get by when jobs are scarce, and the cost of living is going up. The economic crisis, not just the recent downturn, is all too real and unprecedented in its apparent resistance to the interventions of a clueless political class. But exaggerating the extent of the so-called ‘food poverty’ problem isn’t helping anybody. It only turns those struggling on the breadline (so to speak) into victims. Instead of trying to close down debate (like the foodbanks lobby have been doing following that Mail on Sunday article) or emoting all over the place – as the Daily Mirror did, apparently without outcry, with its use of a stock photo of a crying American child on its front page to illustrate its ‘shock report’ into foodbanks – we need to establish where the real problem lies. It is only by doing this that we can ultimately do anything about it. No, not that Freud. While the therapeutic politics behind the food banks discussion has a lot to answer for, it is not to Sigmund but to his great-grandson Lord Freud that I refer. As I recently discovered, despite the impression given by campaigners, the country is not witnessing depression-era levels of poverty. Nevertheless the numbers getting their meals from food banks has increased considerably, from tens of thousands to half a million in just a couple of years according to one estimate. As is widely recognised, this is largely the result of the abolition of the social fund, other benefit changes following welfare reform, more delays and sanctions in the payment of benefits; and the novel and dubious practice of job centres referring them rather than the usual practice of giving claimants an advance on their benefits. So while the people running them are right to suspect that food banks are effectively being drawn into a wider unofficial welfare system. The good news (if you can call it that) is that the extended queues does not mean that people have got much poorer and hungrier all of a sudden, and are lining up much as the poverty-stricken were outside the soup kitchens of 1930s America. Lord Freud, a work and pensions minister and (worse) a wealthy former investment banker – did I mention he’s a Lord? – caused controversy last month by denying that the recent popularity in food banks had anything to do with the above. Using the logic of anti-roads campaigners he said that the high take-up in their use was simply a consequence of there being more of them. “If you put more food banks in, that is the supply” he said. “Clearly food from a food bank is by definition a free good and there’s almost infinite demand.” (A statement that could hardly have been better designed to trigger, as it did, the usual Labour Party soundbite about those nasty ‘out of touch’ Tories.) While his critics were right to criticise Freud for his ignorance of the impact of changes to the welfare landscape introduced by his department (not to mention the impact of the economic crisis on people’s standard of living), and the implication that the problem of poverty would be solved if food banks were all closed down; he also has a point. While in most cases people’s sense of pride and self-respect – even today when the old working class values have been eroded – tends to trump the logic of the market; we are increasingly encouraged to regard ourselves as vulnerable, incapable of looking after ourselves and in need of ‘support’. The resultant growth of a therapuetic state to meet these new found needs is the inevitable result. So could it be that those numbers have also been increasing because more people are being sucked into a dependent relationship with the state, or in the case of food banks with the extended state of ‘charitable’ support? 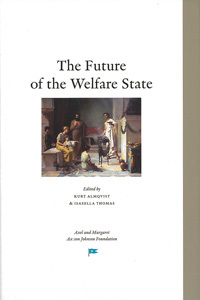 Certainly as both Freud and the prime minister have said, the increase in the use of food banks was already beginning to rise before these welfare changes were implemented, and even before the coalition government was formed; and the arguments presented by the food bank movement itself also point to what can only be described as a therapeutic turn. The problem with food banks, says Nick Saul president and CEO of Community Food Centres Canada, is that they “let us and our governments off the hook for finding real economic and social policy-based solutions”. People, he says, become “passive recipients of food handouts” rather than active members of their community. Right, and right again. But Saul is sniffy about conventional food banks and the supposedly inferior fare provided by their supermarket donors; and doubly patronising because he thinks that those dependent on food handouts also need lifestyle lectures, whether its “nutrition initiatives for low income, pregnant women” or extra tuition for the no doubt neglected kids. Patrick Butler at The Guardian is similarly sympathetic with those schemes determined to distance themselves from the “food-bank mentality“. They should do more than just feed people, so the logic goes. They should help them to break free of their dependency too. So what makes these anti-food banks so much better? Their clients “receive counselling, debt advice and health advice each time they visit”. While the sentiment may sound radical these schemes are actually more likely to further ingrain people’s dependency. The idea that what the poorest need is more intervention and support in order to reduce their dependence on … er, intervention and support, just doesn’t make any sense. I’d prefer to take my food parcel and go thank you very much.